New Wind Turbines Near Scotia? A possible new view from Scotia. 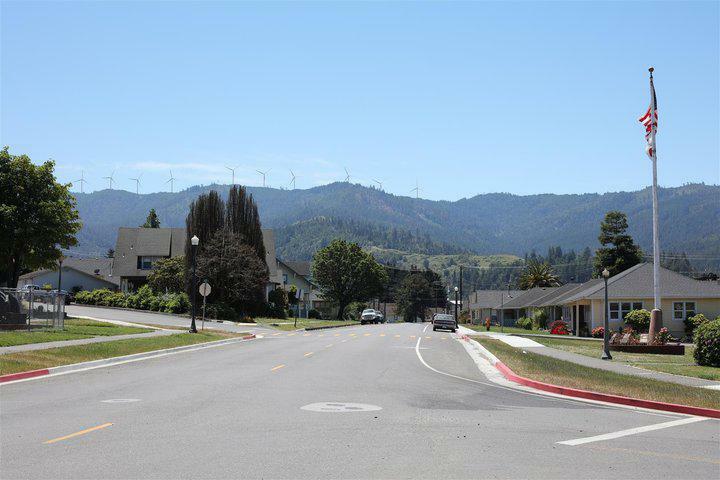 If everything goes according to plan, Scotia residents may see wind turbines on Monument and Bear River Ridges by 2020. Kevin Martin of Terra Gen, the project's proponents, joins Tom Wheeler in the studio to talk about how the company hopes to avoid environmental impacts. Kevin Martin of Terra Gen explains what his company is doing to avoid environmental impacts associated with their proposed wind farm to be located near Scotia. New Wind Farm Off Humboldt's Coast? Thursday Night Talk explores the Redwood Coast Energy Authority's proposal to put a floating offshore wind farm off Humboldt's coast. The proposal, which would place floating wind turbines ~20-24 miles offcoast, would generate enough power to light all of Humboldt. Guests Lori Biodini of the Redwood Coast Energy Authority and Jen Kalt of Humboldt Baykeeper discuss the proposal and potential environmental impacts, both positive and negative. For more information, please visit the Redwood Coast Energy Authority's website. KHSU Magazine: Do Wind Turbines Make Good Neighbors? Joseph Rand is a researcher at Lawrence Berkeley National Lab and conducts analysis on renewable energy.